Position detection means process safety. 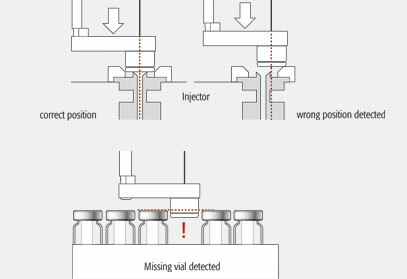 Missing vials or the correct position of the injector are detected and traced. Position detection for the temperature controlled stack ensures that the drawer is in the correct position (open / closed) and the temperature is monitored.